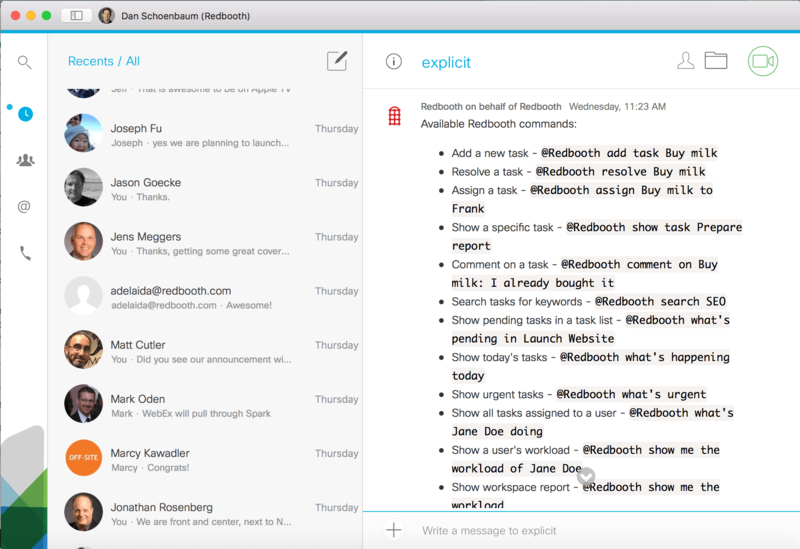 Redbooth is the all-in-one workstream collaboration and communications platform that makes teams more productive and accountable. Through this unique integration of the leading project management and team collaboration applications, users can seamlessly move from planning work to real-time collaboration. 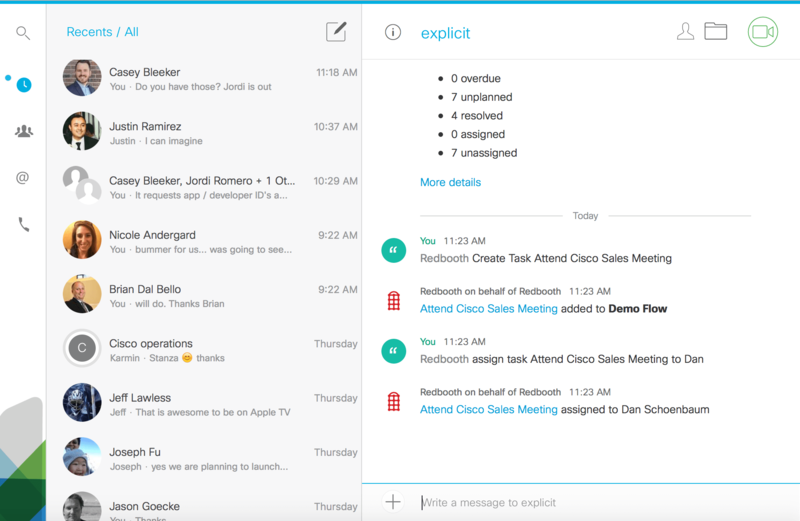 Cisco Spark’s messaging and meeting experience can then be extended to drive meaningful work outcomes, with real-time communications triggered by project status and follow-up activities tracked by Redbooth. To get started today, set up your demo workspace. This gets you into a fully functional Redbooth environment to leverage with Cisco Spark demonstrations. For customers interested in purchasing Redbooth for their team, pricing information can be found here or you can reach out to sales@redbooth.com for more info.